Please submit your publication titles to the Publications page. Flight Matrix Table Please be aware that a "flight matrix table" exists and is maintained by RAF. The Flight Leg Schedules have been added to this table. 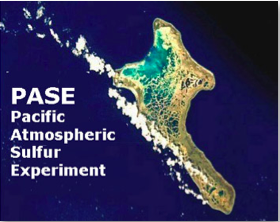 The Pacific Atmospheric Sulfur Experiment (PASE) is a comprehensive study of the chemistry of sulfur in the remote marine troposphere. A major part of PASE is devoted to the chemistry and physics (primarily of sulfur) in a cloud free convective boundary layer (CBL). During the first phase, PASE investigators studied the chemistry and physics of gases and aerosols in a cloud free environment. During Phase II, the PIs focused on developing a better understanding of the formation of new particles in the cloud outflow of marine cumulus. 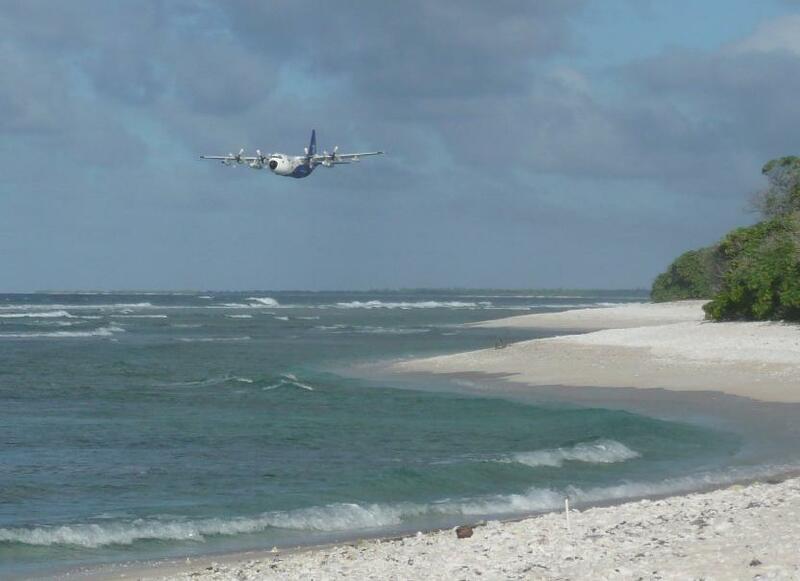 PASE will provide information on aerosol chemistry and physics in the remote marine atmosphere essential for developing an understanding for the Aerosol Indirect Effect (AIE) in this region. However, PASE is just a first step in this process. PASE will also explore key elements of the CLAW (Charlson, Lovelock, Andreae, Watson ) hypothesis that describes how dimethyl sulfide oxidation can have important impacts on AIE. At the core of PASE is the chemistry of sulfur because much of the chemistry of AIE in the marine atmosphere involves the products of dimethyl sulfide (DMS) oxidation and their interactions with aerosols. The detailed information on sulfur chemistry of both aerosols and gases obtained in PASE will make a major contribution to understanding the link between sulfur chemistry and the evolution, growth, and properties of aerosols in the marine atmosphere. State of the art instruments have been used to make accurate and high speed airborne determinations of sulfur dioxide (SO2), dimethyl sulfide, dimethyl sulfoxide (DMSO, dimethyl sulfone (DMSO2), methane sulfonic acid (MSA), sulfuric acid (H2SO4), hydroxyl radical (OH), peroxyl radical (HO2), ammonia (NH3), water vapor (H2O), ozone (O3), hydrogen peroxide (H2O2), methyl hydrogen peroxide (CH3OOH), liquid water, temperature, pressure, wind velocity. DMS, SO2, H2O and O3 were determined at 25 samples per second allowing vertical fluxes of these species to be determined by eddy correlation. Chemical budgets for the sulfur species can be calculated from the concentrations and fluxes. These budgets will contain valuable information on chemistry in general but specifically on their chemical formation and destruction rates. 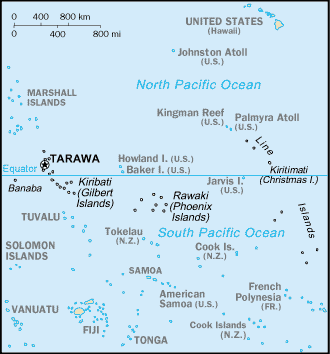 Much of PASE was conducted in the CBL of the marine atmosphere east of Christmas Island (Kiritimati) during a cloud free period in August 2007. This CBL is exceptionally well mixed. Its turbulence and wind fields have very small vertical and temporal variability and the very high solar intensity is ideal for driving photochemistry. The high and spatially uniform DMS flux is another important characteristic. 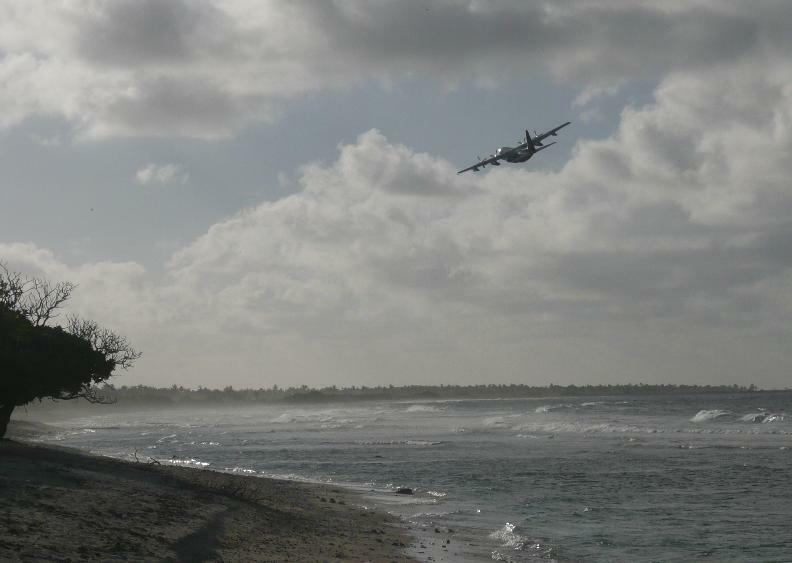 PASE field activities took place on Christmas Island in the Pacific Ocean from 2 August through 10 September 2007. 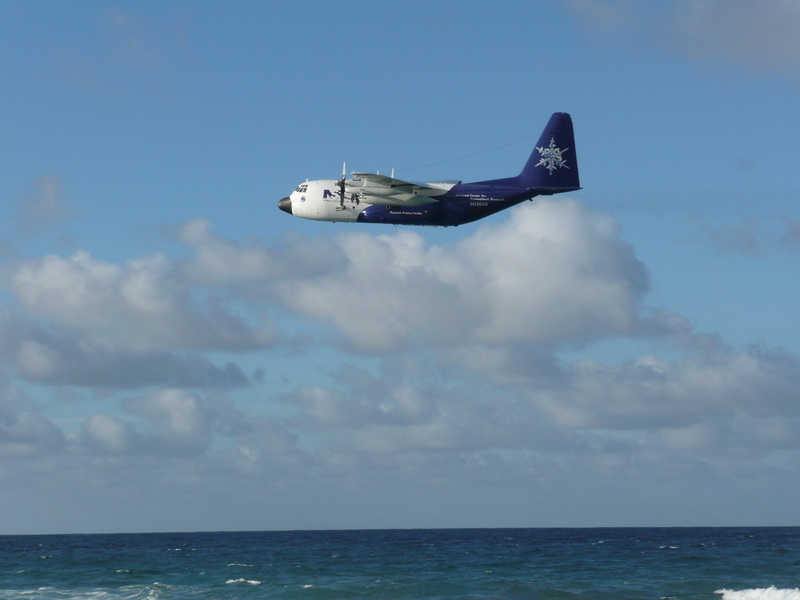 The NSF/NCAR C-130 carried the chemistry payload in support of the campaign. The entire suite of NCAR aerosol probes available for C-130 was flown. In addition, PI's measured size and volatility (0.15-10.0 um), size and volatility (0.01-0.3 um), size resolved mixing state, refractory and volatile number, ultrafine number concentration, absorption coefficient (Black Carbon), whitecap/bubble coverage, size integrated ambient total ions around a circle, leg average size resolved ions, coarse particle size distribution, fast submicron aerosol ion composition, CCN concentration and supersaturation spectrum. Aerosol non-sea salt sulfate (NSS), methane sulfonate (MS), sodium, ammonium, calcium, magnesium, nitrate, oxalate, chloride, bromide and organic carbon will be determined using filter and impactor methods.